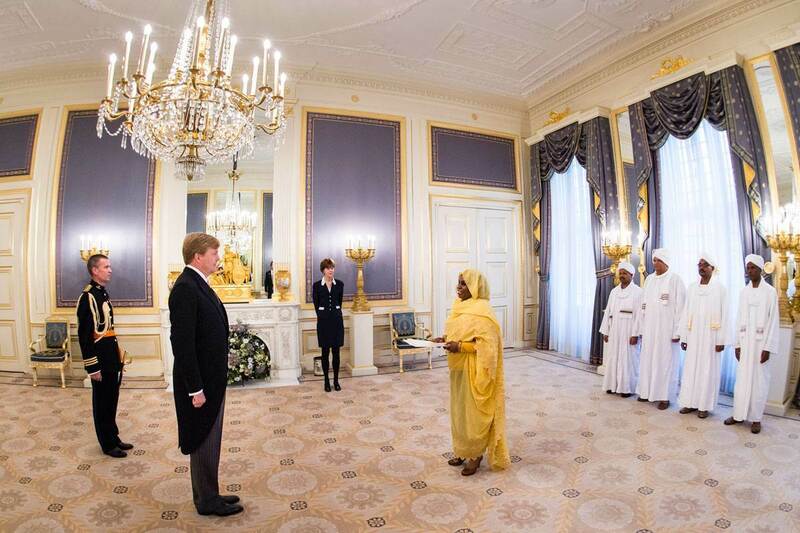 Newly appointed foreign ambassadors are received by the King at Noordeinde Palace shortly after their arrival in the Netherlands, in order for them to present their letters of credence. Letters of credence are the two documents originating from a foreign head of state that are presented to the King by a newly appointed ambassador, in the presence of the Minister of Foreign Affairs. The first recalls the previous ambassador while the second introduces the new ambassador as a diplomat empowered to speak on behalf of his government or head of state. This letter confirms the good relations that exist between the two countries.